Valve starts fiddling with its experiments in virtual reality for Steam. Valve is in the middle of experimenting with virtual reality technology, using the Oculus Rift headset. With talks on virtual reality at this year's Steam Dev Days Jan. 15-16, Valve has released a beta version of SteamVR one day before the annual conference kicks off. Valve programmer Joe Ludwig posted the announcement in the Steam forums: "As of the most recent Steam Client Beta, Steam now supports an experimental VR mode," Ludwig wrote. "If you own an Oculus Rift dev kit, you can try it out by starting Steam with "-vr" on the command line. Then press the Big Picture button to enter Big Picture + VR mode." Ludwig notes that when running Steam VR for the first time, users may have to run the Steam desktop client without the -vr option, find "SteamVR" under "Tools" in the library, look up properties on SteamVR, opt into the "Beta Update," let it download, and then restart the Steam client with -vr. A bug preventing SteamVR working for the first time has since been fixed. 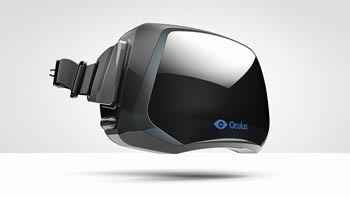 However, there are still some difficulties for Oculus Rift users. For those having trouble, set Steam to start in Big Picture mode, create a shortcut to Steam and add -vr to the launch options, set Oculus Rift as an extended monitor (the secondary), and start Steam using the modified shortcut. Valve will reveal its prototype VR hardware at Steam Dev Days for what the company believes represents "what affordable VR hardware will be capable of within a couple of years." Valve will continue to implement virtual reality for Steam.